Missouri winters can be tough on vehicles. MoDOT uses salt generously and I’m not always able to immediately wash/rinse my Jeep after a winter weather event. This can cause exposed metal to rust. 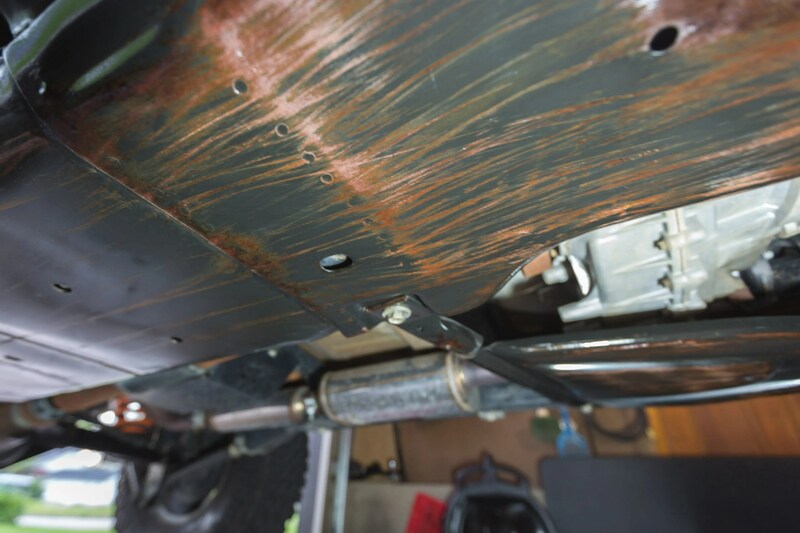 Rust is another name for iron oxide, which occurs when iron or an alloy that has iron, like steel, is exposed to oxygen and moisture over a time. Oxygen combines with the metal at an atomic level, forming a new compound called an oxide and weakening the bonds of the metal itself. Daniel Strohl, is someone who understands this process better than most. Here are a few excerpts from an article explaining what is happening. Municipalities spread both salt and sand on the roads during the winter for different reasons: Sand provides traction, while salt both melts the ice and snow and prevents it from refreezing. Sodium chloride, the most common form of road salt, does so by dissolving into its constituent parts – one atom of sodium for every atom of chlorine, or, actually, one ion of sodium and one ion of chloride. The free floating ions work to reduce the freezing point of water – in sodium chloride’s case, down to about 15 degrees Fahrenheit in real-world conditions. 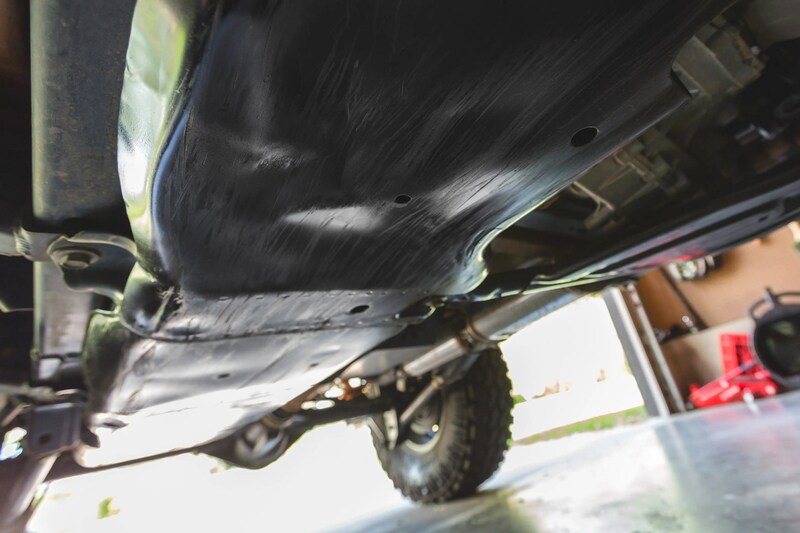 So when road salt does its job, it’s introducing a lot of free floating ions into melting water on the road, just waiting for your tires to come along and kick up some ion-filled road spray into your wheelwells and other moisture-trapping crevices. Even without the salt-dissolved ions helping things along, the hydrogen set free in the initial rusting process actually creates a mild acid, which dissolves in the water and attacks the metal. 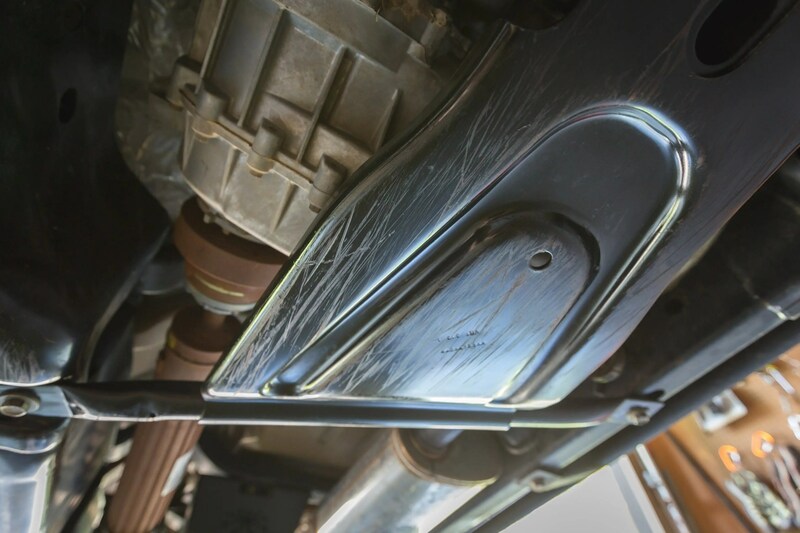 Stray battery currents – as well as dissimilar metals – help along the electrolysis process, and plenty of other contaminants and impurities get into the salt slurry to further acidify it. Then once the rust starts, it works quickly. Iron oxide molecules take up more space than iron atoms, so they start to expand. Carbon dioxide in the water combines with the iron to create iron hydroxide, another form of rust that easily separates from the base metal. None of these processes stop unless all the corrosion is removed and the base metal is protected by some form of barrier. 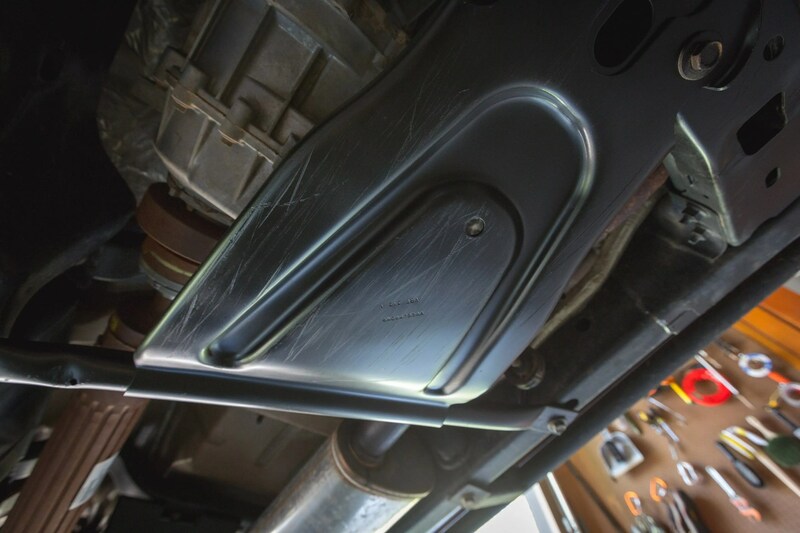 My skid plates took a beating in 2014 and began to rust over the winter. After a bit of research I found a promising product, Dupli-Color Rust Fix. 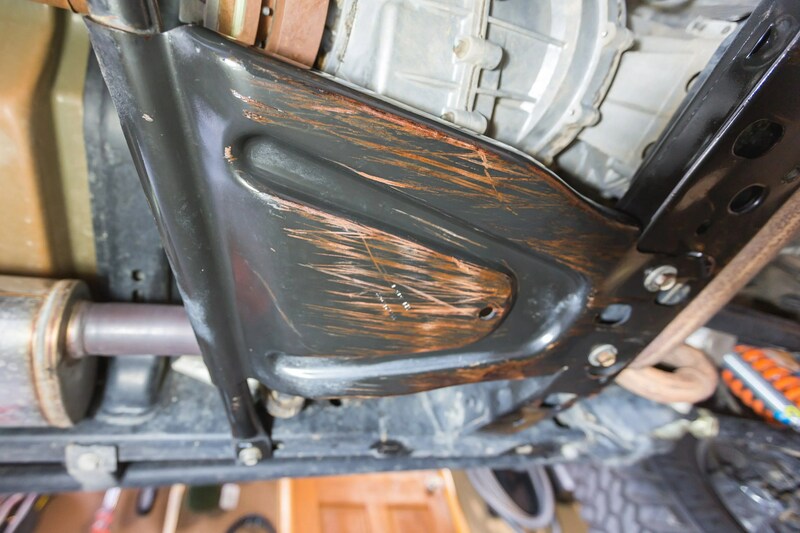 It’s a rust conversion primer that takes 24 hours to work its magic. Before applying the product I used a red scuff pad to roughen the surface, then I wiped it clean. The Dupli-Color was up next. My first impression wasn’t great. The nozzle spit the product on the surface and the spray was very inconsistent. I used some mineral spirits on the nozzle and it began to work as it should. The product goes on clear and doesn’t work quickly. However, within an hour the rust began to look like a black metal flake. 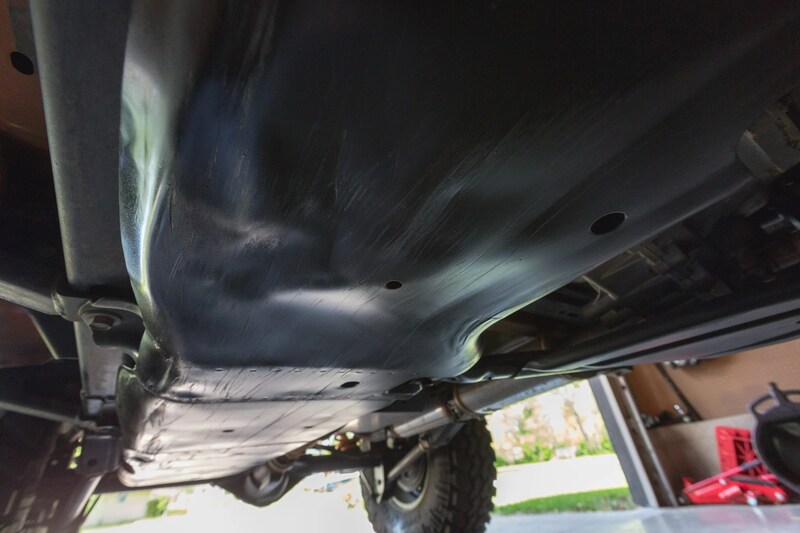 By time the 24 hour mark arrived the surface looked like it was hit with a flat black primer and ready for a top coat. 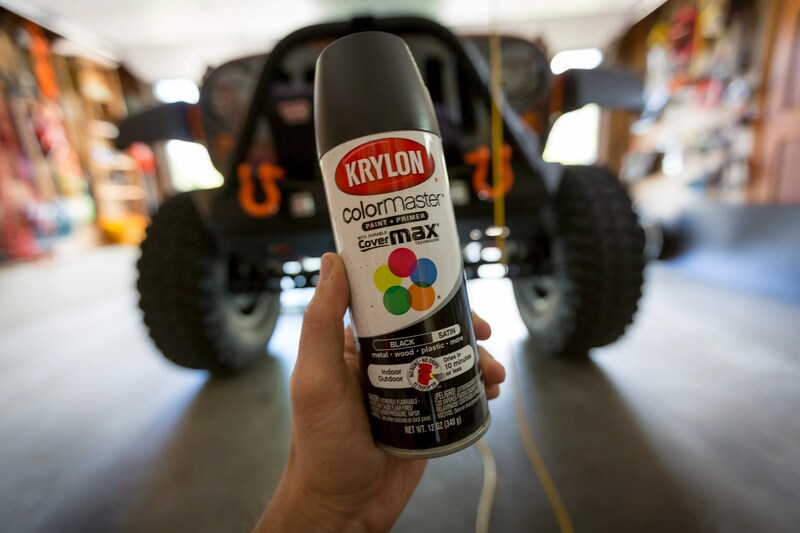 I prefer Krylon spray paint. It covers well, cures quickly and has a strong bond. Rust free and ready for another off-road season!